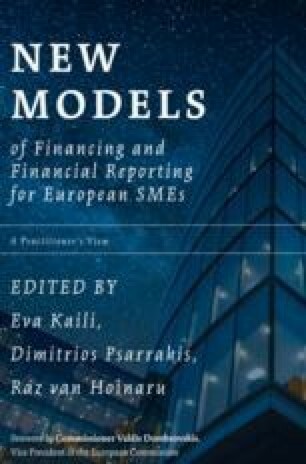 This chapter goes deeper in the problem caused by the regulatory constraints in the banks due to the increase of regulatory capital requirements. From a former Citibank managing director, global head of regulatory perspective, the author stresses the increased role of the emergence of fintech and the strong potential of synergies between SMEs, banks and fintech firms in the “open banking” ecosystem. SME financing in Europe is on the path of transformation. From traditional bank-led methods of financing, SMEs as well as start-ups are exposed to more choice of sources of funding across a broader array of providers. Access to financing still takes too long and few SMEs make use of the option to access national capital markets. There are some suggestions that the gradual digitisation of the economy also accelerates the digital transformation of the financial environment for SMEs. Mini-bonds, as an alternative financing path that an SME can follow to finance its growth, is taken into consideration. Considerable emphasis is placed upon the growing significance of supply chain finance (SCF) products as an efficient and cheap alternative and the capacity of blockchain technology in improving the quality and efficiency of processing the financing requirements of the SMEs.